We may smell it first, warned environmentalist Rae Ann Wessel. She was right. Along a wall of mangroves, the stench last week advertised of something to be buried. It was a greeting to Fort Myers’ algae horrors. The algae outbreak has gotten headlines across the country, but water woes in Florida are nothing new. 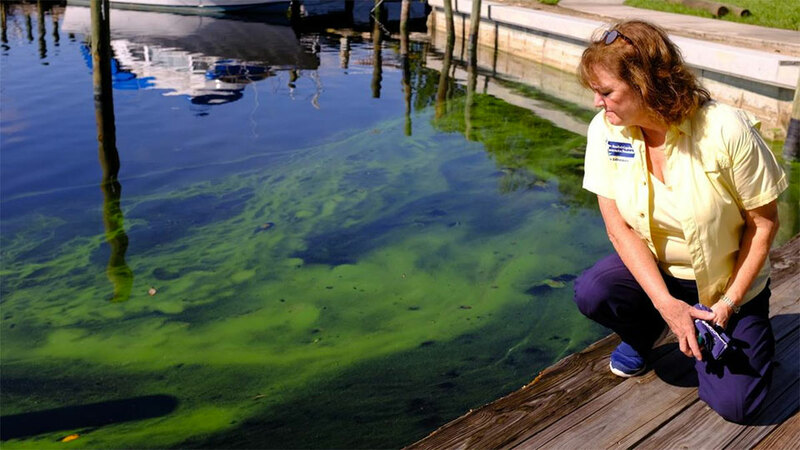 For decades, Florida’s watery environment has been sickened by pollution from septic and sewer systems, storm water and fertilizer from landscaping and agriculture. That “nutrient” pollution, in nitrogen and phosphorus flavors, is an unnatural feast for a bewildering array of naturally occurring algae. Different types have exploded in growth, smothering and poisoning Florida’s aquatic gems. It hasn’t been without warning. Read the complete article at the Orlando Sentinel.